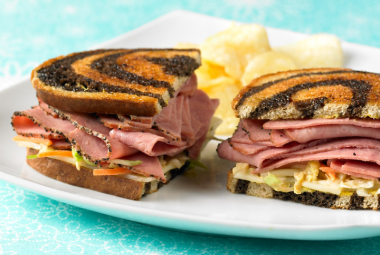 On one bread slice layer cheese, turkey pastrami, coleslaw and dressing. Cover with remaining bread slice. Place sandwich in skillet or griddle. Cook 4 to 6 minutes or until bread is toasted and golden brown, turning once. Cut sandwich in half.